Have you ever suffered from having night sweats? I can honestly say I have more times than I care to remember. I'm in the early stages of perimenopause and I am already feeling the effects. And to top it off my husband does too. It's a battle some nights between us throwing the covers off and onto the other person trying to cool off. Since we started using the DermaTherapy® sheets I was sent I am happy to report however neither one of us has experienced them since. The sheets have a very nice soft feel to them and are cool when you climb into the bed. To give them a real honest test I even left our windows open one night when it was warmer out just to see if either one of us would sweat while we were sleeping. I was pretty excited come morning when we both had a good nights rest and neither one of us experienced any of the usual night sweats that sometimes comes from humid temperatures. DermaTherapy® Bedding was also created for those suffering with eczema, psoriasis, and atopic dermatitis. I didn't even realize this until I was reading information about the sheets preparing for my post. I thought they were just for night sweats. Once I read this I stopped what I was doing and looked down at my leg. Why you might ask? I did this because I had a patch of eczema on the outside of my leg I had been battling with for several months now, actually since winter. To my surprise the spot had actually shrunk to almost nothing. Coincidence? I don't think so, I honestly think it was the sheets. I had tried a few different creams and essential oils trying to help clear it up and it had gotten to a point where it was not getting any smaller...well that was until I had started using these sheets. That's the only thing that had changed. For a dry, restful sleep, DermaTherapy® Bedding combats the problem of night sweats and moisture by treating the sleeping surface rather than the body. 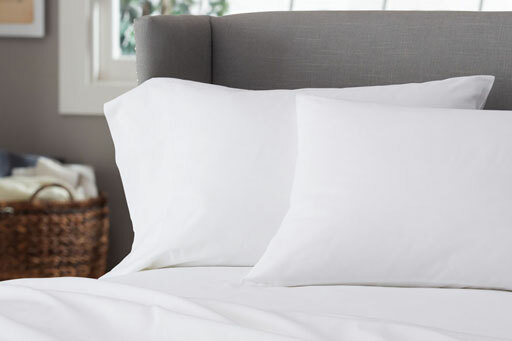 Uniquely structured micro-fibers channel moisture away from the skin and distribute it evenly over the surface of the sheet. As moisture evaporates, the wetness and clamminess associated with night sweats and hot flashes is reduced. I definitely get night sweats and my husband doesn't. I'd love to try this bedding!